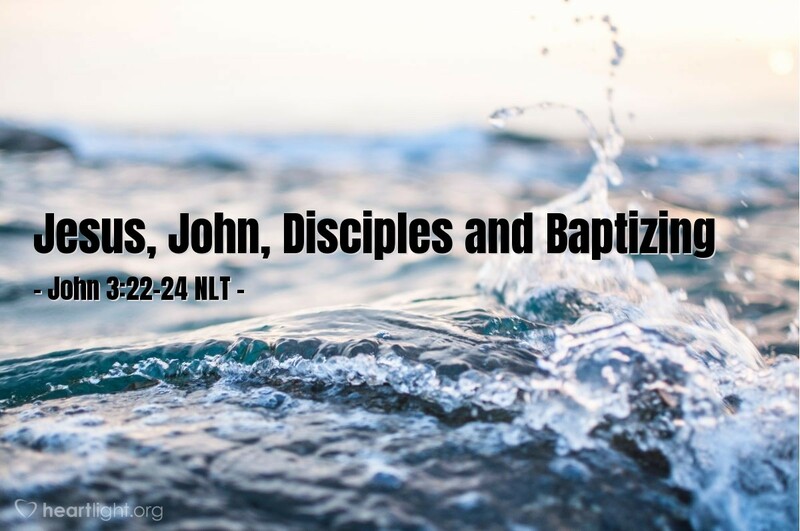 Jesus' disciples and John the Baptist practiced baptism — immersion of repentant folks who were preparing themselves for God's coming Kingdom. Two things about this baptism are particularly interesting. First, until Jesus and John, most of the washings in Judaism were self-administered. Second, baptism like John practiced was in use, but primarily for Gentiles who were becoming Jewish proselytes. Imagine the attention and furor — Jews being baptized like Gentiles! Matthew, Mark, Luke, and John all reveal this attention in their stories of Jesus. Many people realized God was doing something special in his people. To prepare themselves for this work of God, many were willing to do whatever God asked of them. So the biggest question for us is this: "Am I willing to do anything God asks of me to follow Jesus?" I hope our answer is, "Yes." So now let's ask God to show us what that "anything" truly is! Almighty God, please remove any stumbling block in my heart that would keep me from following Jesus and loving you with all my heart, soul, mind, and strength. I confess, dear Father, this prayer makes me a bit afraid because I often do not recognize my blind spots, areas of unresolved sinfulness, or immaturity. So I ask, dear Father, that you humble me gently and that I submit my heart fully to your control. I want to follow your Son wholeheartedly and do your will without reluctance. In Jesus' name, I pray. Amen.